Is there a difference between “guardería”, “centro infantil”, and “educación infantil”? Read to find out! Moving to Madrid and need to find a nursery for your under 3 year old? A first time Mum navigating the Comunidad de Madrid’s website to find subsidized places at local nurseries in Madrid? Can’t understand what the difference is between Centro infantil, Guarderia and educación infantil? Let Kids in Madrid provide you with a few pointers. So, is there a difference between “guardería”, “centro infantil”, and “educación infantil”? Yes! “Guarderia” refers to nursery schools that offer the first cycle of preschool education, from 3 months to 3 years. “Centro infantil” refers to the second cycle of pre-school education from 3 to 6 years old, because until a child is 6, it is not compulsory to enrol them into formal education. When “educación infantil” is mentioned it refers to all six non-compulsory years of infant education. Are all nurseries in Madrid private? No. There is a network of public nursery schools (guarderías públicas) across the capital city and the neighbouring satellite towns. Children aged 3 months to 3 years old form part of the first cycle of preschool education (1er Ciclo de Educación Infantil). Places are limited and prized by parents. Applicants must follow the strict timetable set by their local town hall (see “How do I apply for a place at a public nursery”, below), which for the school year 2017/18 did not accept applications after the 18th of April 2018. Which is best: public or private? The only objective answer is to say: neither. There are advantages and disadvantages to both. Among the advantages of public nursery schools are the quality of education, the services such as nutritionists, nurses and educational experts on tap, as well as the low price. The disadvantages of public nurseries are their inflexible hours, the fact that they run from September to July (closed August), meaning that if you are due back at work in January or February, you either have to pay for the previous months when your child hasn’t been going or you have to take your child to a private nursery from the moment you start back at work until the following September. The advantages of private nurseries, be they privado concertado or privado is that many (but not all) have flexible hours, smaller class sizes, different languages and often have agreements with international companies to take children of their employees. Another important advantage is that they all feed into local schools that have strict student quotas where those with the most points are guaranteed spaces. Sometimes it is the point allocated to parents for having their children at the related guarderia concertado that gives them the edge above their competitors, thus securing a place in a popular, over-subscribed primary school for their child. The most notable disadvantages of private nurseries are that they can be very expensive, that many have less experienced staff than state run nurseries and there may be more classroom rotation as children come and go. How do I apply for a place at a public nursery? As mentioned at the beginning of this article, these nursery places are subject to strict application procedures that are set by the local town hall. When considering nurseries, don’t forget that the catchment area can be applied to where you work, as well as where you live. Children that have not yet been born before the cut-off date for applications are still allowed to apply by submitting the two surnames of the unborn child and providing proof of the baby’s due date. Several discounts exist for large families, low-wage families, single parents and those caring for sick or disabled siblings. Again, these discounts, known as becas, must be applied for via the local town hall and variations may exist between autonomous regions. In order to find out more about becas from the Comunidad de Madrid please look here. How do I apply for a place at a private nursery? If the nursery you are looking at is state-subsidized (guarderia concertada), the application process is the same as the applying for a space at a public nursery (see above). 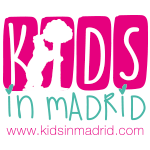 If you are interested in an independent nursery in Madrid, note that most will take children at any time throughout the school year, depending upon availability. It is always a good idea to visit these nurseries before deciding which best suits you and your child. For Madrid, you should start by checking Coles y guardes to find out when the next open days at private, independent nursery schools are being held. Most private nurseries also have social media profiles and blogs where you can ask questions and read opinions. If you have any further questions, please do not hesitate to leave a comment below or get in touch and we will get back to you.